One of GlaxoSmithKline’s two-drug HIV therapies has matched the efficacy of a triple regimen in previously-untreated patients, even those with high viral loads, without encouraging treatment resistance. The combination of integrase inhibitor Tivicay (dolutegravir) with nucleoside reverse transcriptase inhibitor Epivir (lamivudine) had similar efficacy to treatment with dolutegravir plus tenofovir disoproxil fumarate and emtricitabine – two non-nucleoside RTIs – in the GEMINI 1 and 2 studies. The new regimen was non-inferior regardless of the viral load of patients and rates of treatment failure were the same across both groups at less then 1%, with no cases of treatment resistance detected. The results of the two trials were presented at the International AIDS Conference in Amsterdam this week, and provide further evidence that simpler, two-drug regimens could replace standard triple therapies for HIV – with few side effects and drug interactions. “These are important findings for people living with HIV who will spend their lifetime taking drugs to suppress their virus,” said GEMINI lead investigator Pedro Cahn, a veteran HIV researcher working at Fundacion Huesped in Argentina. “Now that we have more potent drugs, the focus is shifting to tolerability and convenience,” he added. 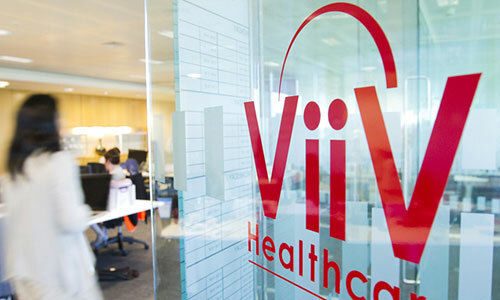 GSK’s ViiV joint venture has a number of projects on the go following that trend. Along with dolutegravir/lamivudine for treatment-naïve patients, it has also been granted regulatory approval for Juluca, a combination of dolutegravir and Johnson & Johnson’s non-nucleoside RTI Edurant (rilpivirine) for patients who have already had their viral load suppressed on other drugs. Another programme is pairing long-acting integrase inhibitor cabotegravir and rilpivirine and could be given as a monthly or bi-monthly injection, as an alternative to daily doses of tablets. The overall value of the HIV market is not expected to change dramatically in the coming years, according to GlobalData, although there will be a shift towards greater use of simpler, single-tablet regimens and the big-selling products will change. ViiV is in a fierce battle with arch-rival Gilead Sciences for control of this evolving treatment landscape. Gilead was the first company to bring a single-tablet triple to market and is still the dominant player, but has been losing market share to ViiV over the last few years due to the success of drugs like Tivicay and triple regimen Triumeq (dolutegravir/lamivudine/abacavir). The recent FDA approval of single-tablet triple Biktarvy (bictegravir/emtricitabine/tenofovir alafenamide) in the US and Europe is central to Gilead’s push-back, with some analysts predicting it could see sales of $3.7bn in 2022 thanks to indications in both treatment-naïve and virologically-suppressed patients that give it broader reach than Juluca. That’s one reason the results of the GEMINI trials in untreated HIV are so important to ViiV, giving it two-drug regimens to match Biktarvy across the board. It says it intends to file for regulatory approval of the new combination later this year. In the meantime, GSK has opened up another front in the war for HIV market dominance, suing Gilead for patent infringement following the approval of Biktarvy.